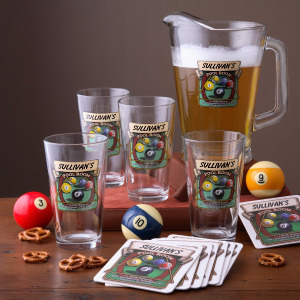 Personalized pool room style bar set. Put your Father’s or Husband’s name on a beer pitcher, classes and coasters. Choose any name – last name, first names, nicknames, etc. Beer (and all beverages!) taste better out of a glass with their name on it! The Personalized Barware collection is colorfully screen-printed with refreshing design, proclaiming THEM as the proprietor of the establishment! Great gift for Father’s Day. It’s an all-in-one compact cooler and grill which tucks neatly into one easy to carry case. The tote features a large, insulated cooler compartment for storing drinks and food. A charcoal grill pulls out quickly and packs up easily into carrying case. Features padded handles, shoulder strap, and a reinforced base for easy carrying. Also, comes with everything you need to grill â€“ stainless steel grilling tools, which include: a turning fork, easy-grip tongs and oversized spatula with a built in bottle opener. This is a must have for football season! laptop, cell phone, MP3 player, PDA device, camera, or gaming device. 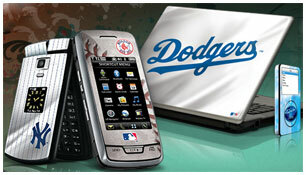 Show style, support a sports team, or truly express yourself with customized skins that you design. 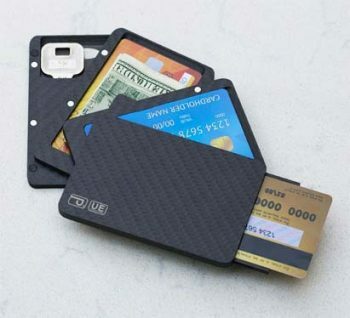 There are hundreds of designs, famous brand names in sports, entertainment, and art, and the special Customizer tool that lets you use design elements, select text, and upload your own images to create an entirely personalized skins. Cheer on your favorite college, NFL, MLB, or NBA sports team with branded selections. Or make something entirely new, different, and maybe even a little wild with the online customization platform.